AOL Instant Messenger 6.0.15.2 Beta 0 out of 5 based on 0 ratings. - A popularly requested feature, Offline IMs, has been added to the client. You may now send IMs to offline buddies who use any client that supports AIM and have them delivered when they sign on. Users on these non-AIM 6 clients will only be able to receive Offline IMs and will be able to turn the feature off by sending '*Off' to the accompanying System Message. Please note that you can only send Offline IMs to buddies who have you on their Buddy Lists. Furthermore, you may only send and/or receive 40 Offline IMs in a 24 hour time period. - The IM Catcher has been removed from the client. In its place are an Away Status window and an Unknown Sender's curtain. The former will appear when you are Away and allows you to do things such as disable sounds and pop-up notifications, send IMs while Away without a change in status and return from Away. The latter traps IMs from Unknown Senders and can be turned off in General IM Settings. It allows you to report IM spam, and close or show the IM. - Message Logging is a new opt-in, PC-based feature. You may now log your conversations with other buddies. The feature can be toggled in General IM Settings. To view your logs you have to choose 'Show Logs' from the Actions menu at the bottom of your Buddy List. 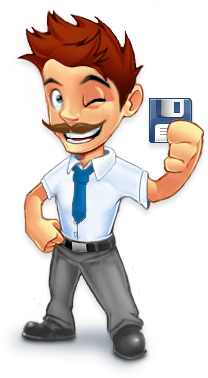 - This version of the software also migrates your preferences from AIM 5.9 if you do not already have a version of AIM Triton (prior to AIM 6) installed. If you have AIM Triton 1.x or 2.x installed, none of your AIM 5.9 settings will be migrated. - There are other new features in this client. The 'eye' button next to your screen name on the Buddy List allows you to toggle between visible and invisible state. The formatting toolbar has also been redesigned again. Also, note that AIM 6 installs into "C:\Program Files\AIM6" which means it can co-exist with versions of AIM Triton on your machine.